Suction cups with hooks. Suction Cups Direct. Suction cups with hooks from Adams USA are strong and reliable and can be fixed to a flat, clean, dry, slick or shiny, non porous, non textured surface like glass, mirrors, glossy plastic, plain glazed glossy ceramic tiles etc. 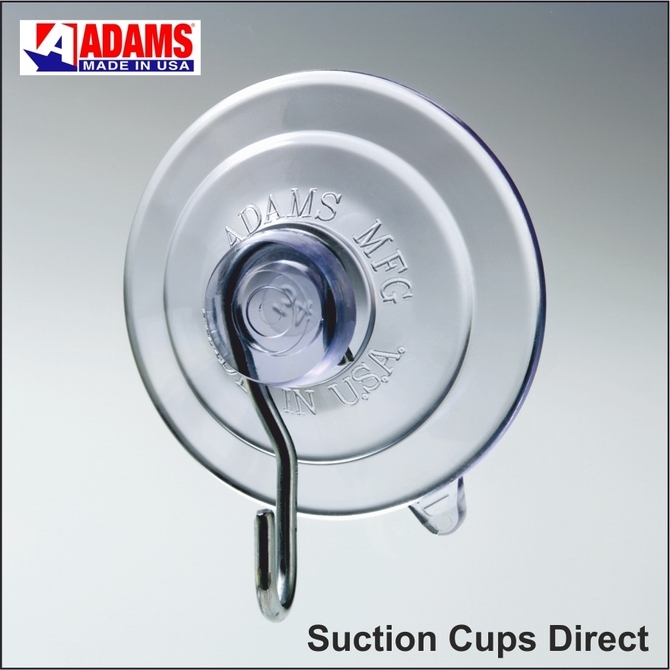 Adams high quality, crystal clear suction cups with hooks can be used indoor and outdoor and are ideal for sun catchers, crystals, keys, display posters, door or window signs, documents, calendars, thermometers, caravan interior products and car air fresheners etc. An Adams suction hook measuring 47mm in diameter is rated to hold 3 pounds (1.36kgs) in weight when applied to an ideal surface above. Remove or re-position Adams suction cups with the quick release tab on the suction cup edge to eliminate damage caused by finger nail picking. 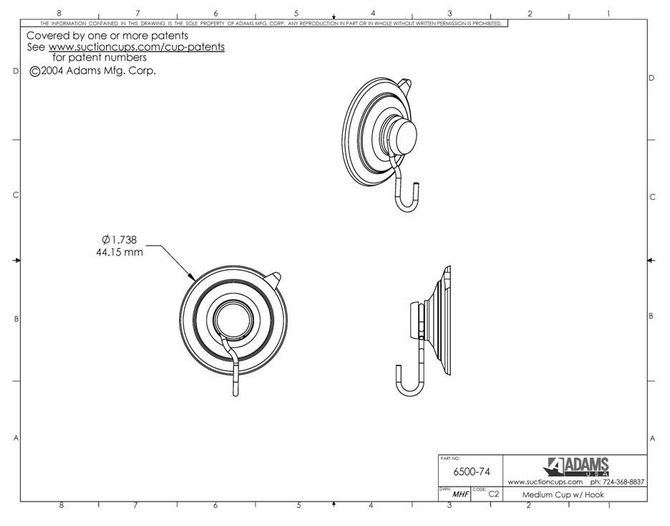 Adams 47mm suction cups with metal hooks are also available with a strong Polycarbonate roto hook.